So you want to call yourself a “runner,” but have no idea where to start? 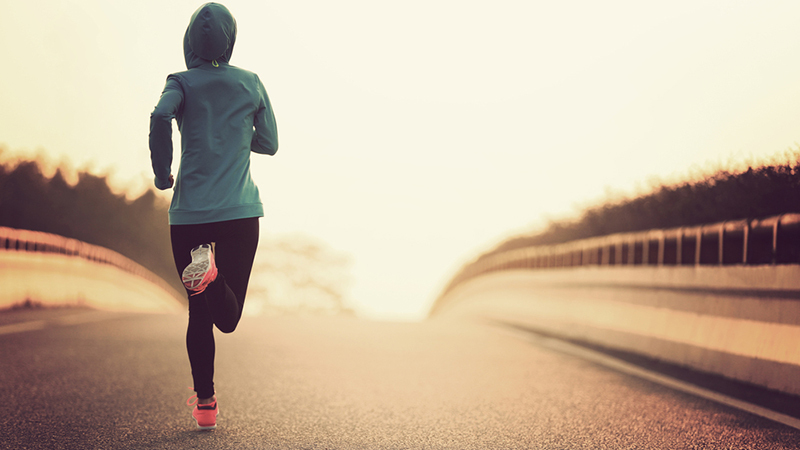 Try our 30-day beginners’ running challenge! We’ve come up with a simple, four-week schedule that makes use of the “couch-to-5K” method and other beginner running regimens. Before you begin, be sure to grab a stopwatch to measure time as you go. 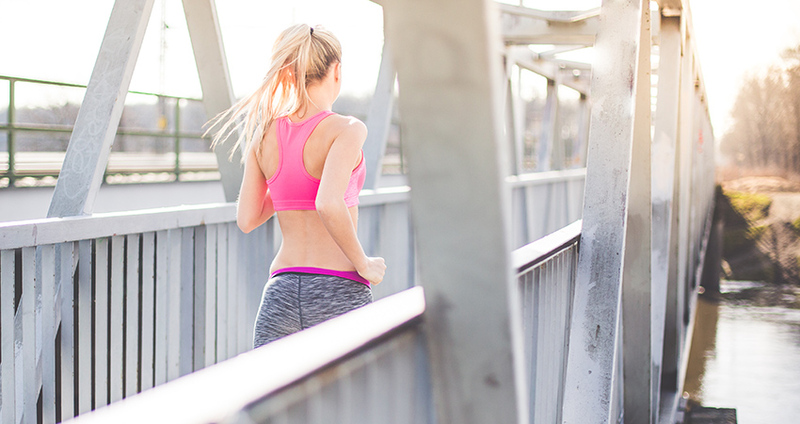 Before you begin, ease into it with a five-minute warm-up jog. Then, start off week one with just 20 minutes of your choice: Walking, jogging, or a combination of both. Try getting this done three days of the week — say Monday, Wednesday, and Friday for example, but choose any days you like — to give your body plenty of time to rest in between. This is not only the optimal starting point for those trying to build a running foundation, it’ also the suggested amount of exercise you should do during the week. To build up endurance and intensity, try mixing intervals of jogging and running. Jog for one minute then walk for a one-and-a-half minutes. But you can do much better than that, right? You’re in for a surprise in week two as you begin to up the intensity. Remember to warm up for a good five minutes before quickening the pace Begin the second week with 30 minutes of exercise — your choice of walking or jogging, or mix them up for a challenge. Do this again three times a week with a day of rest in between, so that you don’t burn out too early. To challenge the body in the second week, try combining one and a half minutes of jogging then two minutes of walking to complete 30 minutes total. We thought we were training for a marathon? Let’s up the intensity for week three. Now you’ve met your match. The third weeks’ challenge is to match both the times of your run and walk. Don’t forget to warm up for two to five minutes, then begin with the running and walking routine. This week you should reach for at least 30 minutes, or you could even go longer than that — your choice! Now you want to set the number at one and a half and three minute intervals, since you’ve mastered the basics. Week three challenge is to jog for one and a half minutes, then a walk for one and a half minutes. This is followed by another job for three minutes and walk for three minutes. Don’t forget to repeat this three times with rest in between for optimal performance! Do you feel closer to a marathon with each step? Good, because it’s just around the corner. The last week of the challenge is time to bust your behind and feel the benefits of a solid running foundation. This week brings about the moment of truth, the day when your jogging time surpasses your running time. So start week four by watching your training unfold with success. You definitely want to start with a two to five minute warmup walk. Then when you’re ready to go take off for 30 or more minutes with a jogging that outlasts your walking times. The last week start with jogging at three minutes, then exchange this for walking for one-an-a-half minutes. Move onto five minutes of jogging and one-and-a-half minutes of walking. Again jog for three minutes, then walk for one-and-a-half minutes. End with five minutes of jogging to pull through at the end. If you find yourself with only a track and no way to time your run by a clock or stopwatch, then just go by the distance instead. Instead of marking off the time in seconds, use 200 yards in place of 90 seconds or 400 yards in place of four minutes. If you want to continue on past week five, just increase the amount of minutes you jog and cut your walk time into even less than half of this. Eventually, you’ll want to only be jogging, replacing those walking times with sprints. Give this four-week beginner running program a go and let us know what you think!